If you’re going to take on the herculean task of completely redesigning an icon like the Jeep Wrangler – you’d better get it right from the get-go. Jeep enthusiasts from all across the Fredericksburg and Washington, D.C., areas are a loyal bunch, but they expect only the best when it comes to this legendary off-road vehicle. 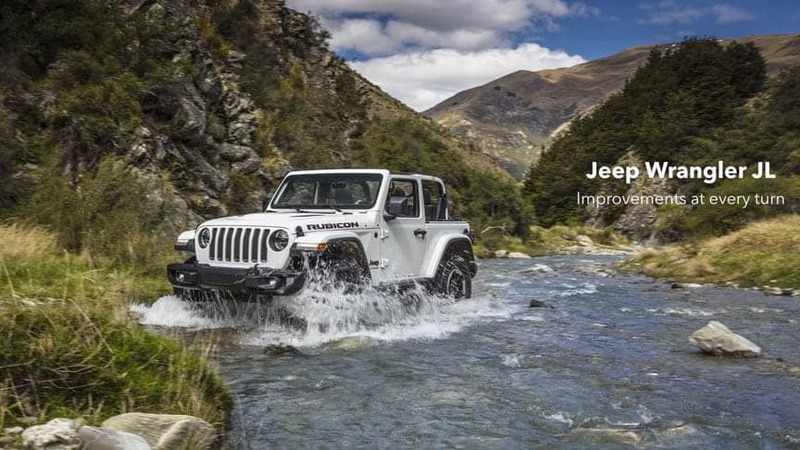 That’s why we’re pleased to announce that the 2018 Jeep Wrangler JL delivers on all fronts. It’s still got the unmatched off-road prowess that Jeep drivers want, but the factory has also added more comfort and amenities to the Wrangler. The all-new 2018 Wrangler JL replaces the outgoing JK model, which was an incredible performer in its own right. If you’re looking for the main difference between the two vehicles, it comes on the inside in the form of more comfort and convenience. We’ll go into more detail on the interior aspects of the 2018 Wrangler JL later on in this space. Safford CJDR of Fredericksburg is ready to give you an up-close and personal look at the 2018 Wrangler JL. Check out our complete selection of inventory online and then contact us to set up a test drive and/or demonstration. One of our friendly, knowledgeable product specialists can go over all the features and performance of the Jeep with you on the ride. The off-road performance credentials of models like the Wrangler have never been questioned, but many drivers are now using vehicles like the Wrangler primarily for everyday commuting purposes. Jeep understands this, and that’s why enhancing the interior aspects of the 2018 Wrangler was at the top of the priority list. Most notably, this includes offering an incredible array of technology features across all trim levels in the lineup. Your best tech values come in the form of the Technology Group package, which equips your 2018 Wrangler JL with a 7-inch touchscreen with a UConnect infotainment system along with Apple CarPlay/Android Auto and many other features. Given that the 2018 Wrangler JL is a Jeep, it should come as no surprise that there is a wide variety of exterior accessory options available, as well. This new Jeep Wrangler JL is turning the heads of every Jeep lover generation, both young and old. Changes to the exterior have improved aerodynamics and created more personality as the interior just got a whole lot more comfortable and entertaining. Make an excuse to leave work early and experience the newly designed Jeep Wrangler JL, designed to make every turn meaningful. 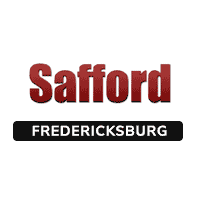 Stop in to Safford CDJR of Fredericksburg today to test drive one for yourself.